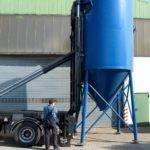 If you want to handle and transport mobile silos within the 2-pocket system you have to use the silo placer ZTA. 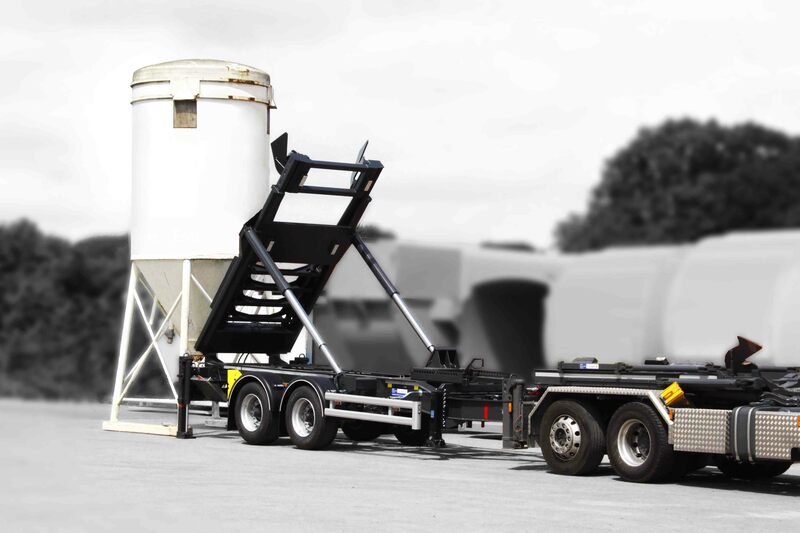 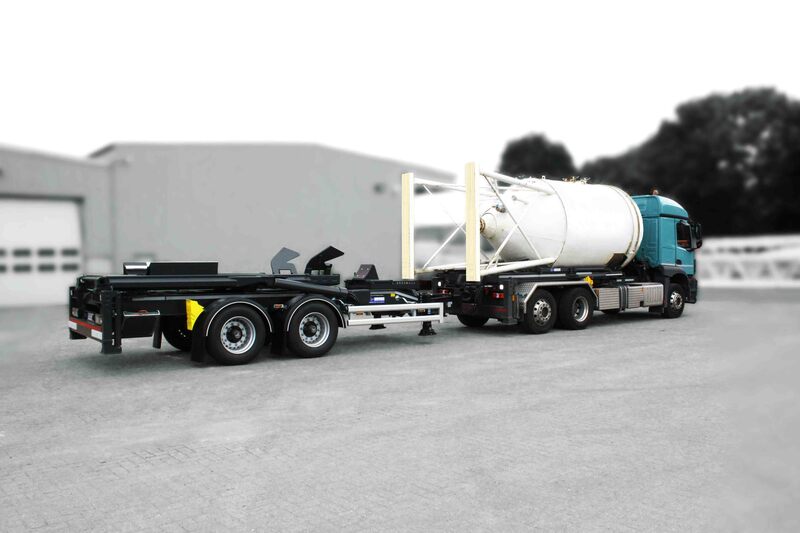 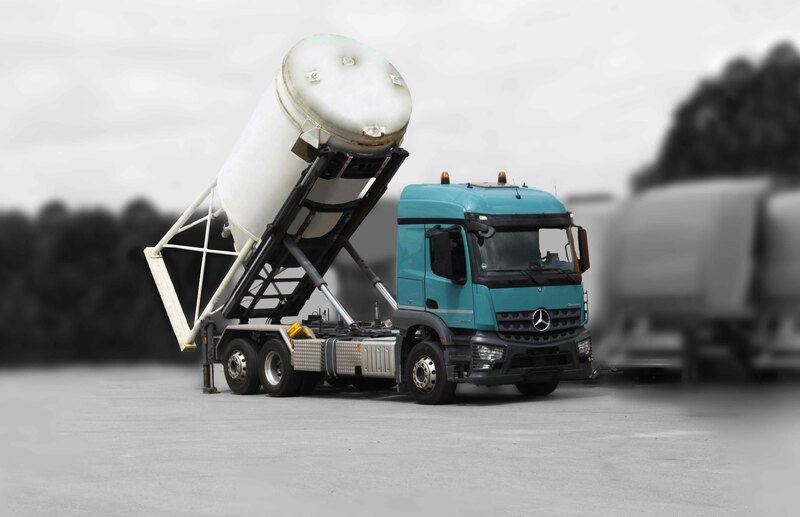 With the ZTA silos up to a size of 22 m³ can be picked up and replaced at a new place. 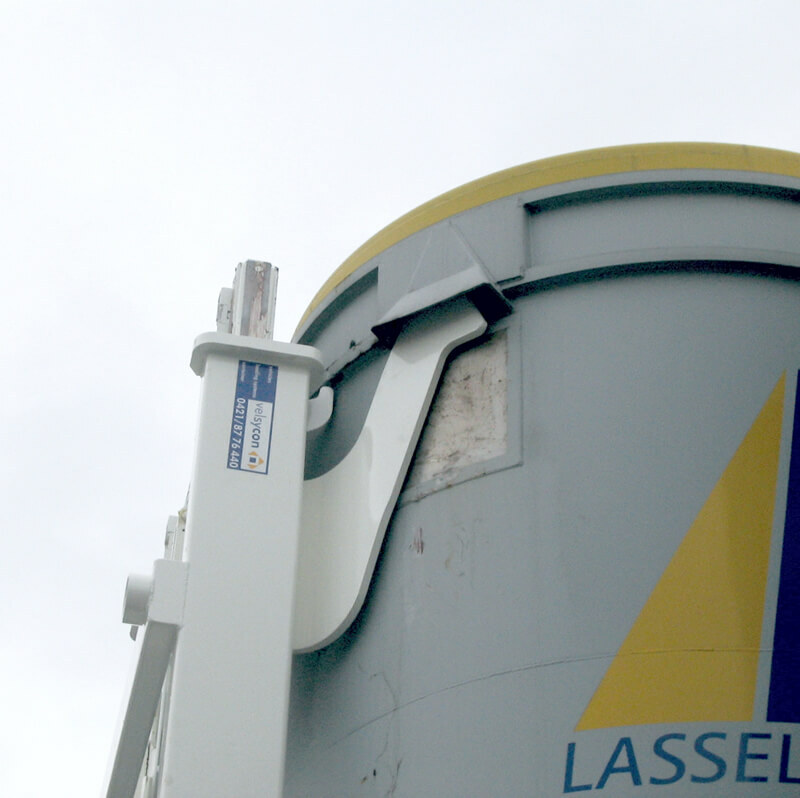 The two flaps of the device with their optimized outline follow the pockets of the mobile silo and lay alongside the outer diameter of the silo body. 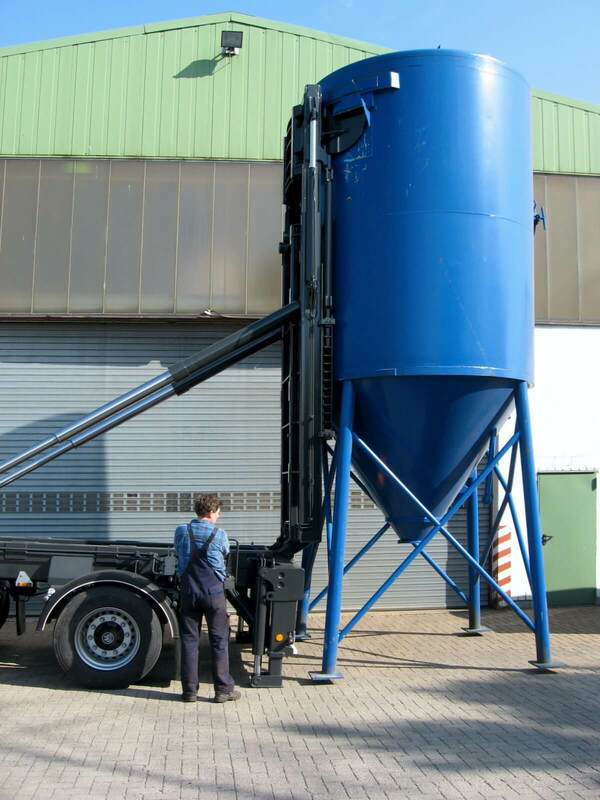 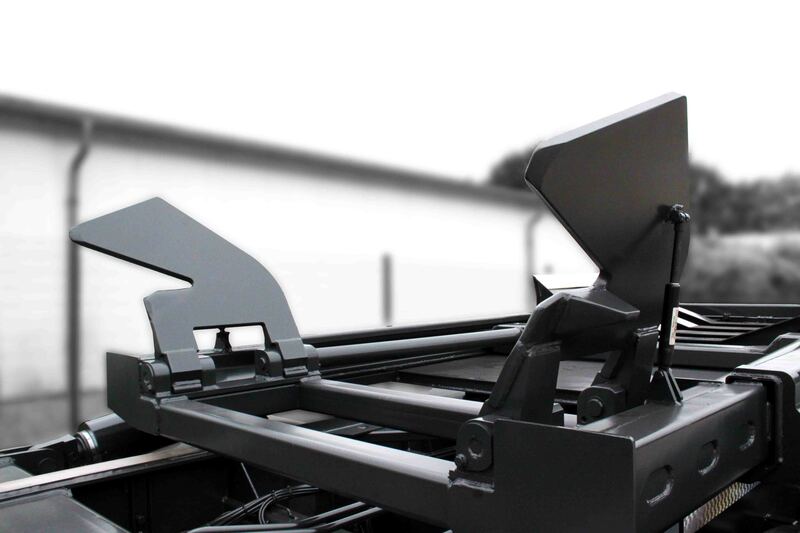 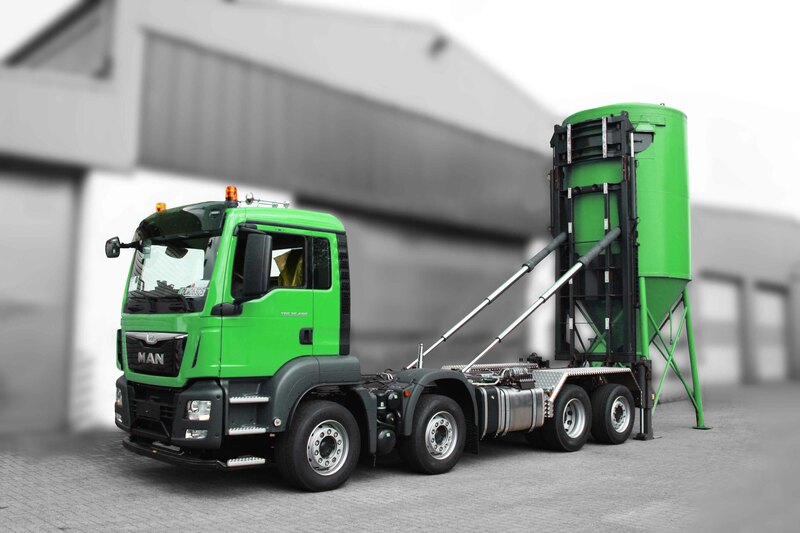 In combination with a support following the shape of the silo body an easy and save handling is guaranteed. 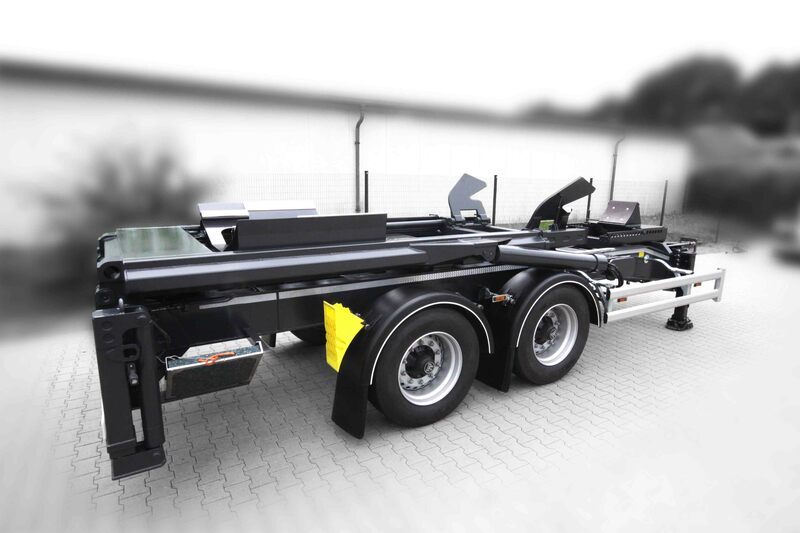 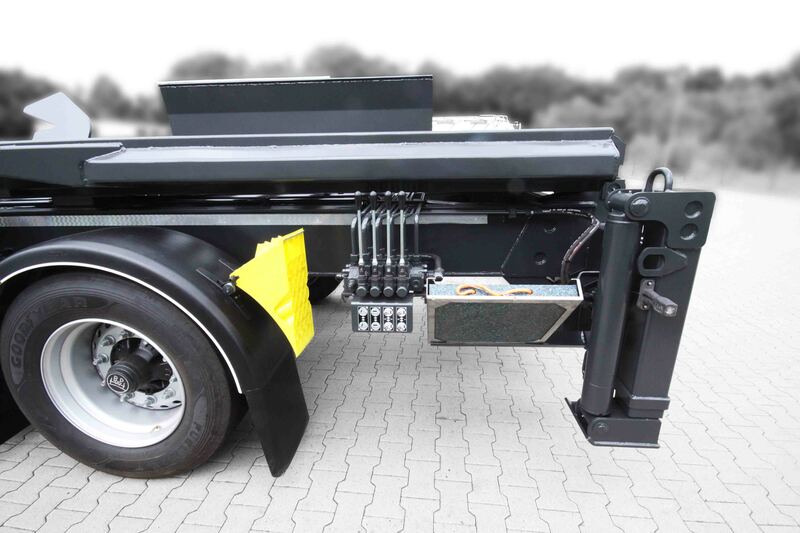 The device could be assembled to 3- or 4-axle trucks, to trailers and to semi-trailers. 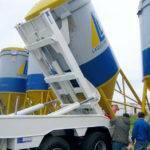 To follow the requirements of load securing the silo placer ZTA has a front stop. 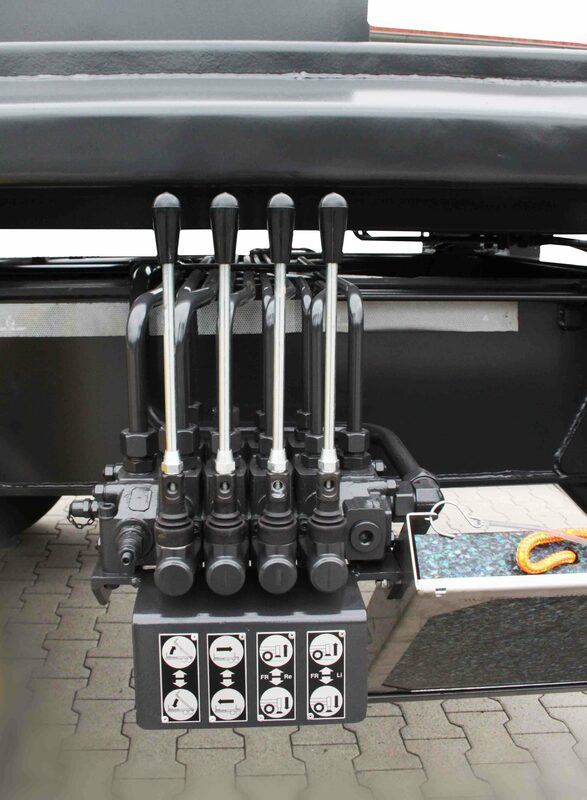 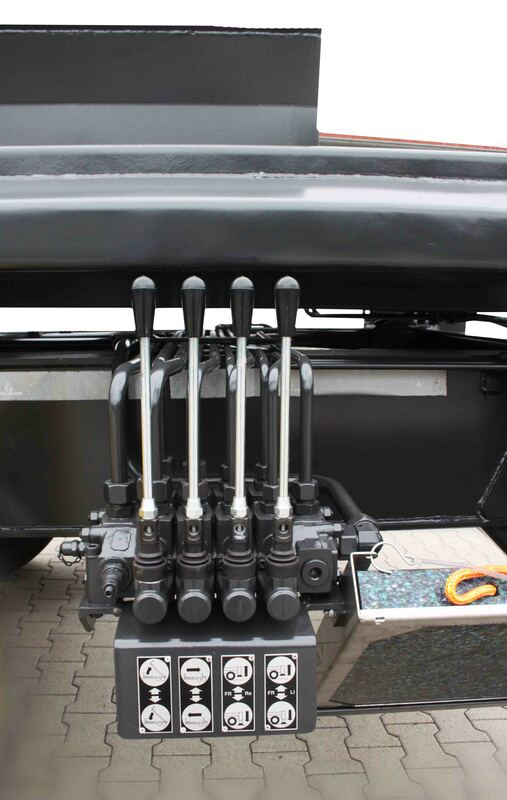 The front stop itself is mounted on roller bearings for an easy adjustment and equipped with an electric hydraulic switch-off. 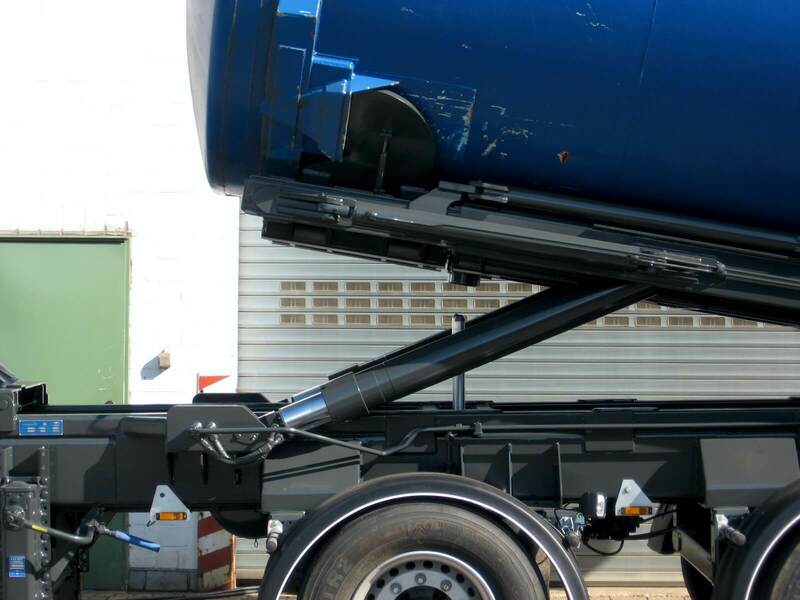 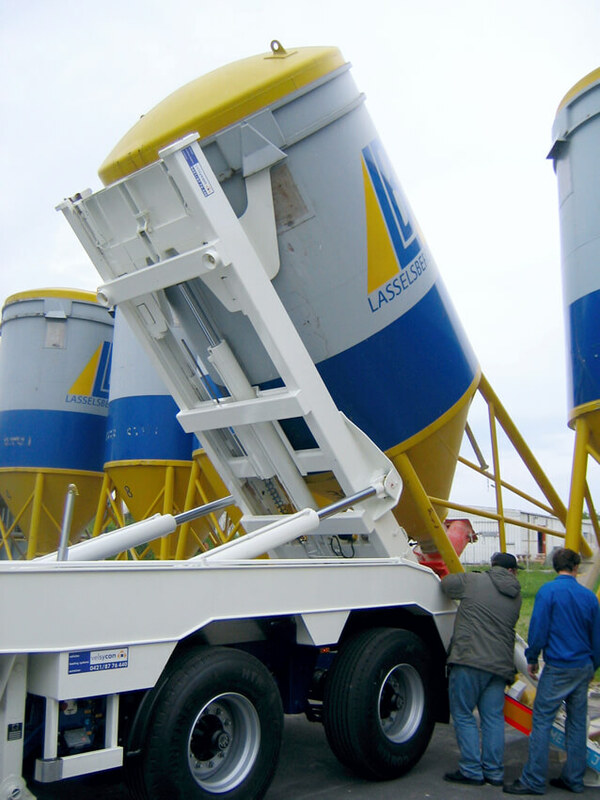 The adjustment is necessary to get the right position for the mobile silo with respect to the position of centre of gravity for the payload on the vehicle. 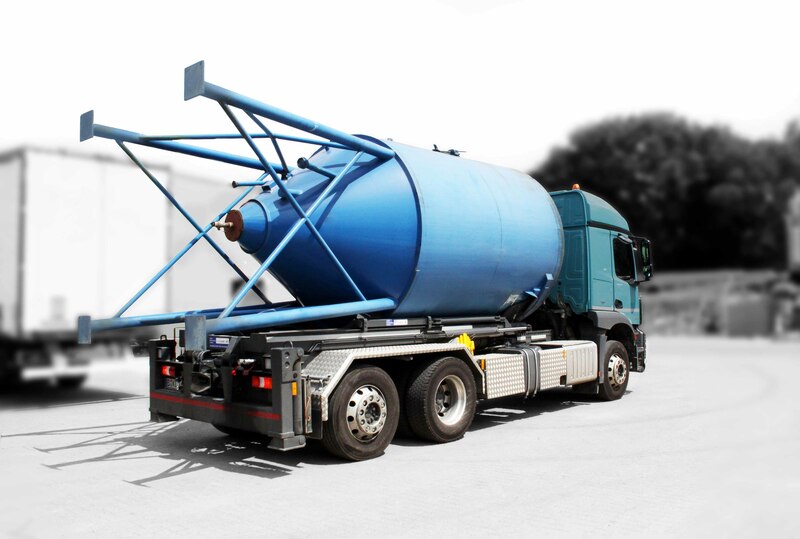 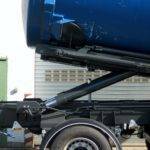 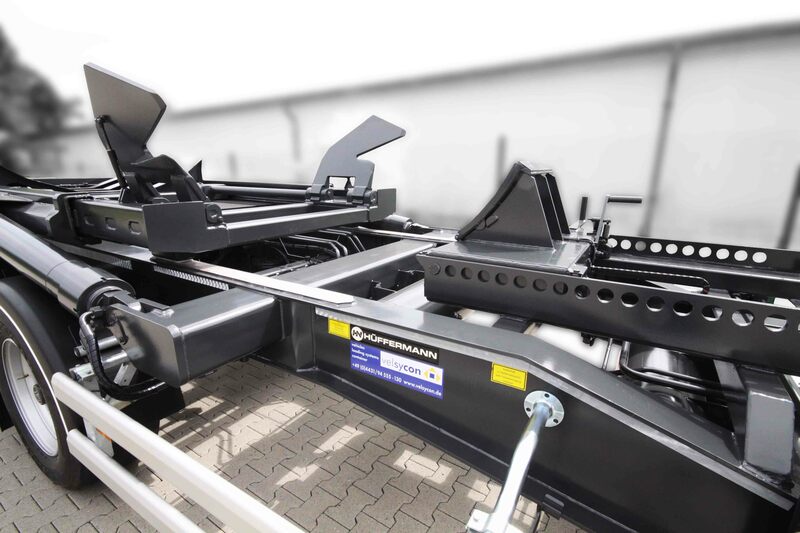 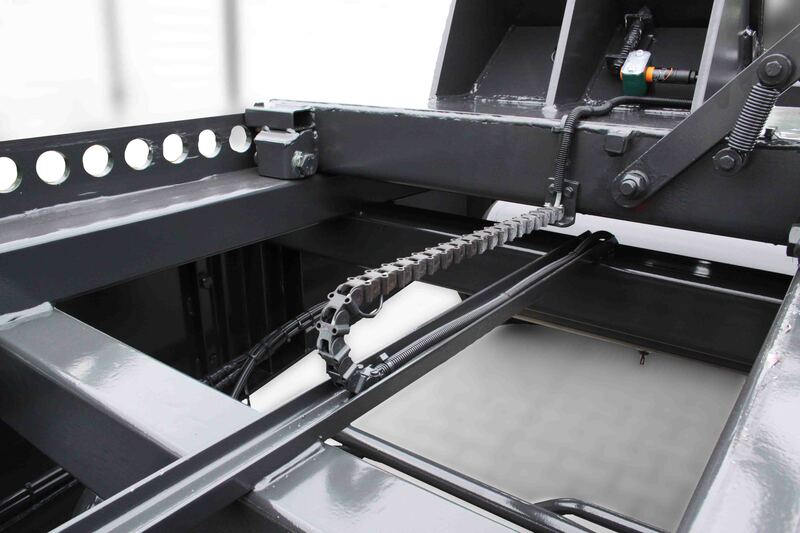 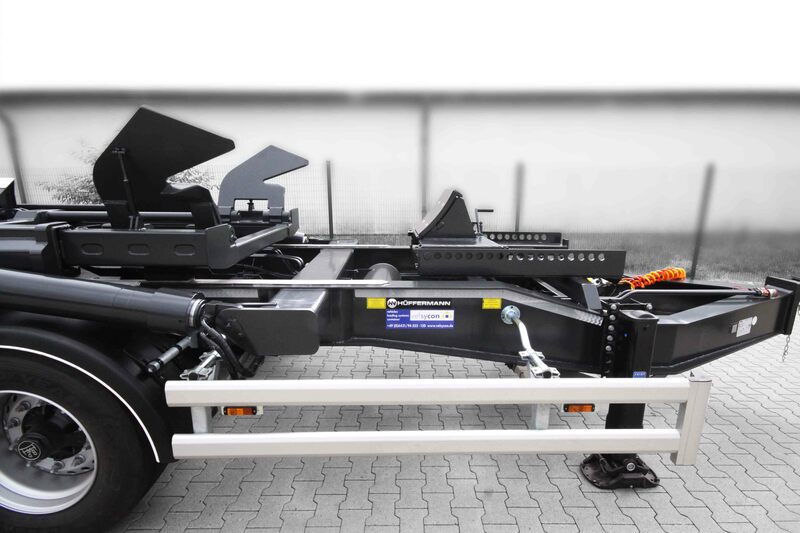 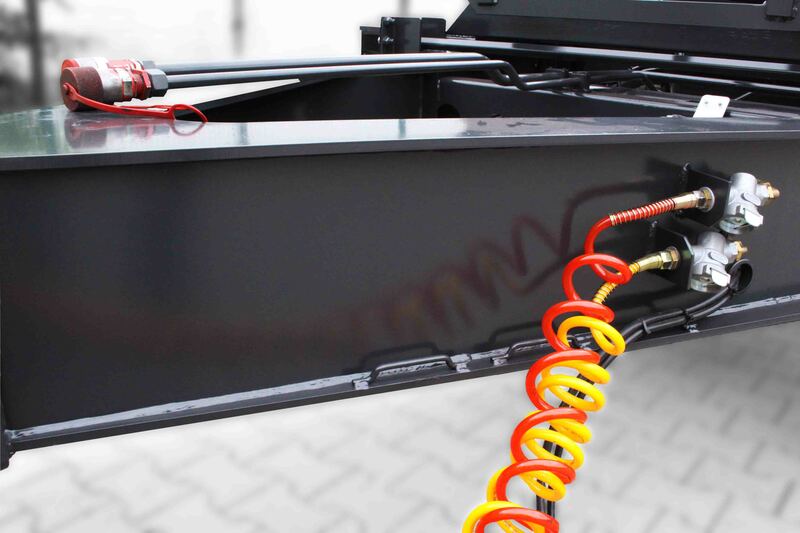 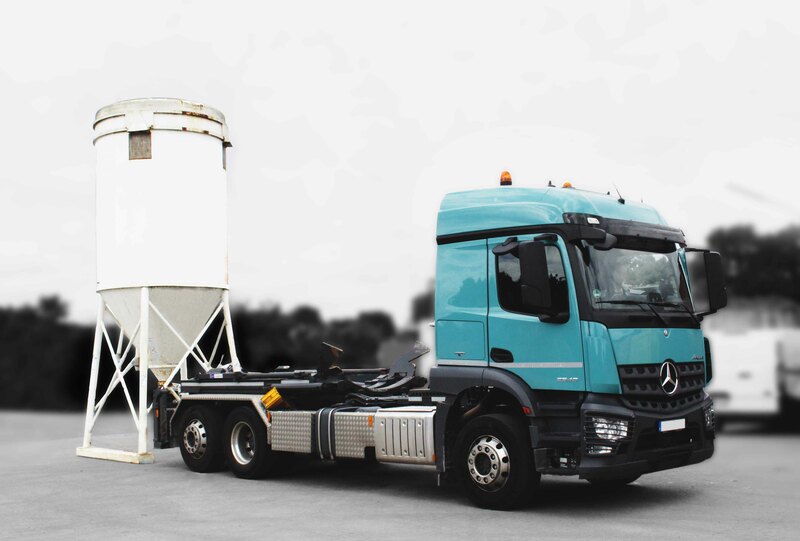 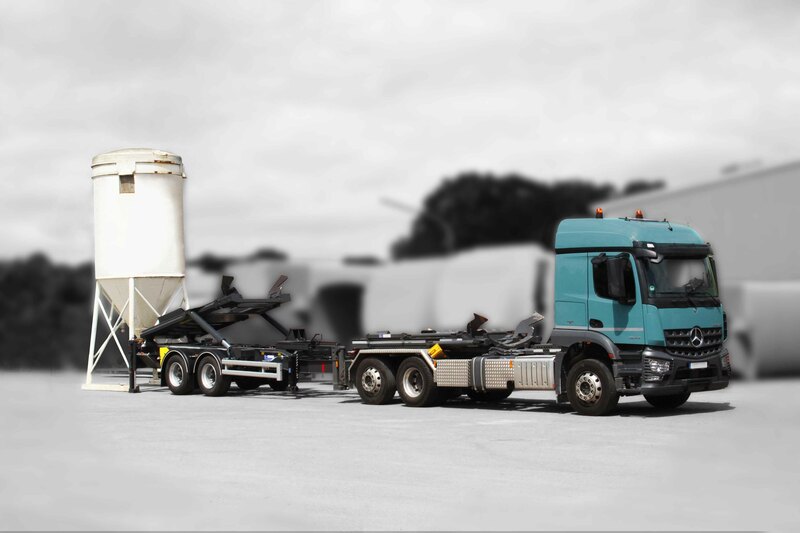 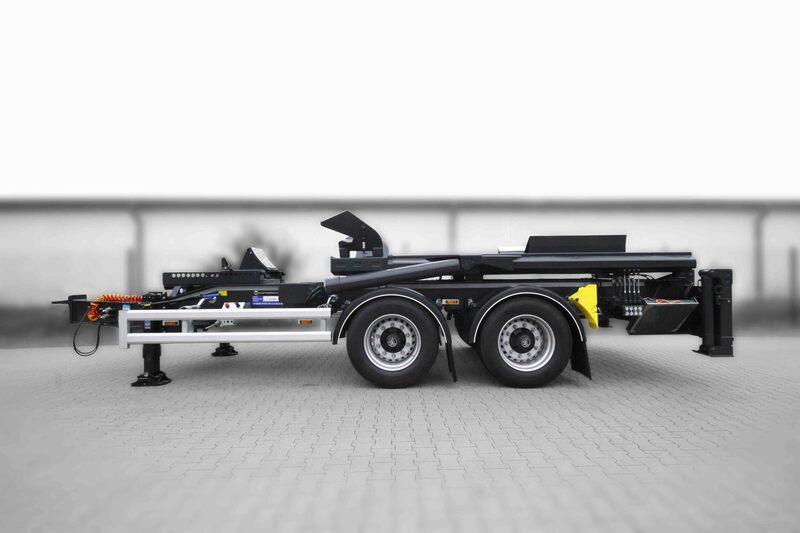 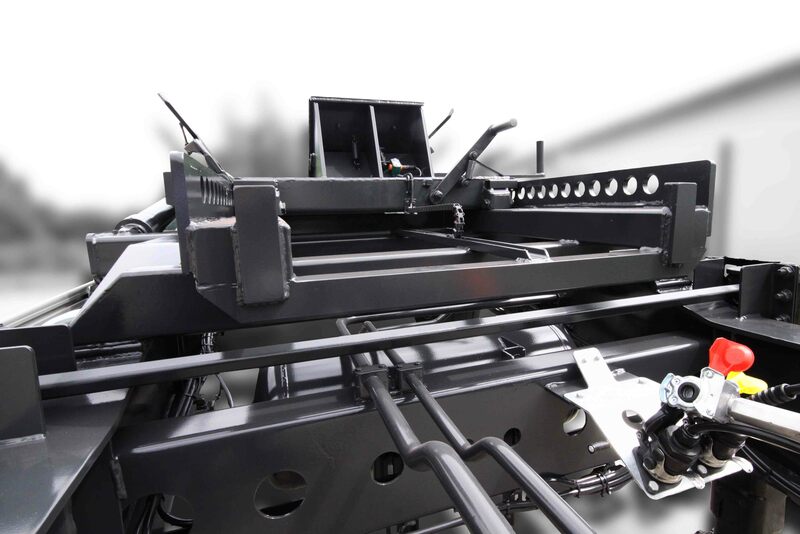 Together with the proven system of hydraulic ground stabilizer, well known from the COMBILIFT system, with the integrated underride guard and the protected area for lighting and connectors the silo placer ZTA is the best choice as a device for mobile silos within the 2-pocket system. 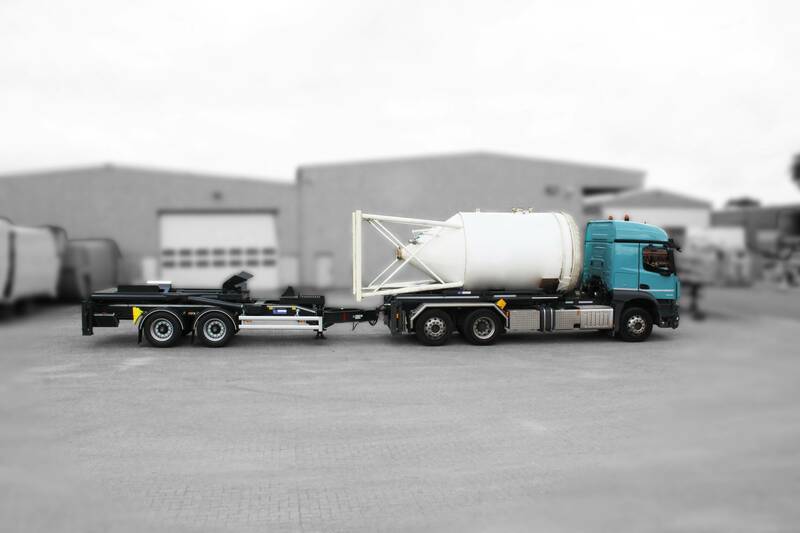 To get a more flexible silo placer it is also possible to fit the ZTA with additional equipment for the handling of mobile silos acc. 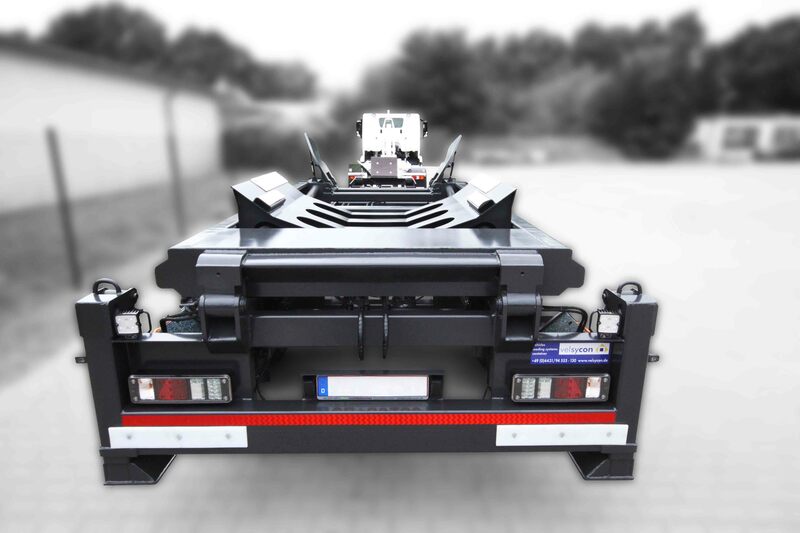 DIN 30734.